One thing I love the most about Chennai is the abundance of spectacular churches in its every nook and cranny. And the best part about these churches is each one of it is unique in its own way; not just in terms of their denominations (or affiliations), but also in terms of their sizes and structures. All thanks to the Portuguese, the Dutch, the French and the British who built these architectural marvels, according to their own unique style, during their stay in India. 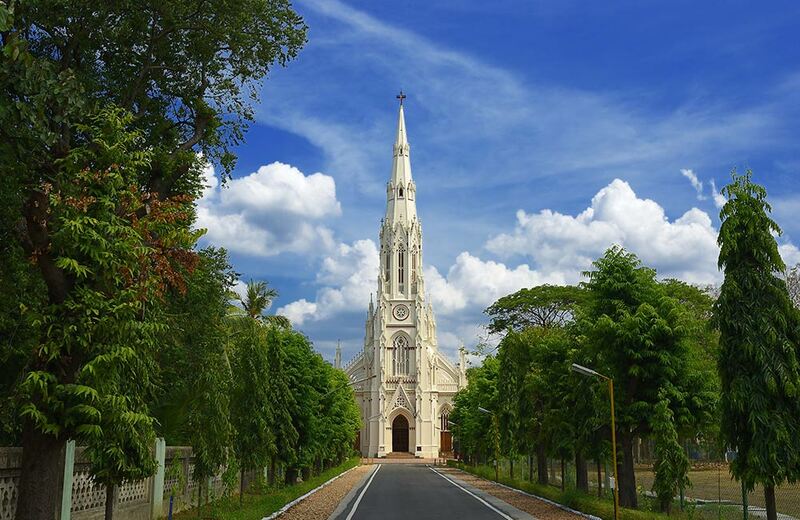 All in all, the idea is to tell you how diverse the churches in Chennai are; so that if you are one of those who frequented a few churches in Chennai and thought that was all, ‘You Must Know’ that there’s a lot left to be explored. And for those of you who haven’t visited any of the churches in Chennai, of course, the list is gonna be longer. That said here’s a list of some of the most popular churches in Chennai that all architecture aficionados must have on their bucket list. 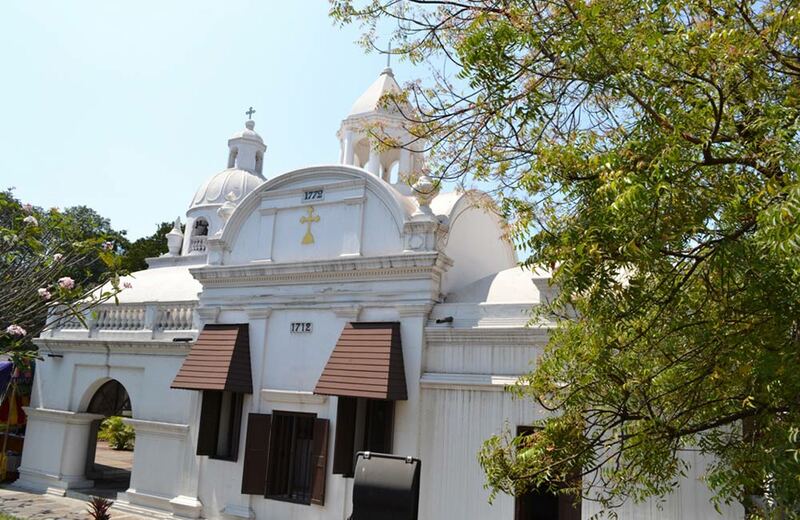 Although a small structure on a busy street in Chennai, Armenian Church is one of the most historically significant and oldest structures in the city. It was built in 1712 by a group of Armenians merchants, who are believed to have walked all the way from Armenia to Madras, via the Hindukush Mountain route. 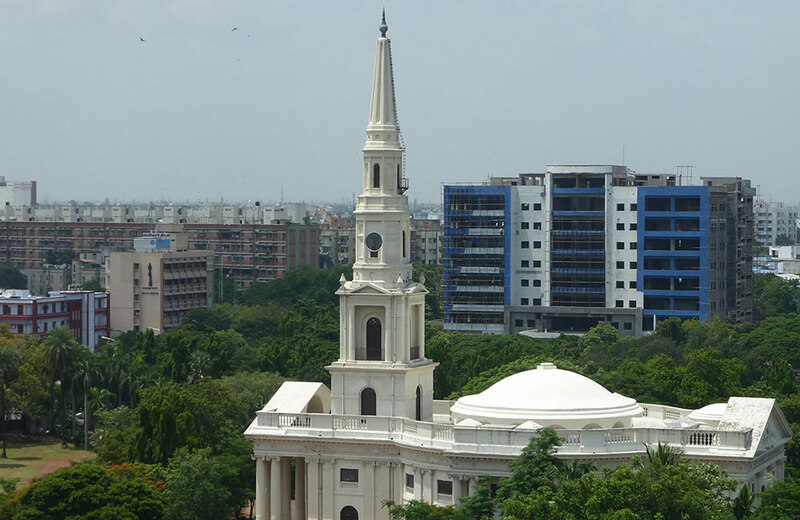 The most popular attraction of the church is its belfry that houses six bells that are believed to be the heaviest church bells in Chennai. Every Sunday, sharp at 9:30 AM, the caretaker of the church rings these bells without fail. The church is also a place of remembrance of the Armenian community that once thrived in Madras. The graves of around 350 Armenians, including the grave of Reverend Haroutiun Shmavonian, the man behind the world’s first Armenian periodical ‘Azdarar,’ is all that is left. The community, however, is still alive in the memories of Chennai and its people in the form of this heritage building at Parry’s Corner. 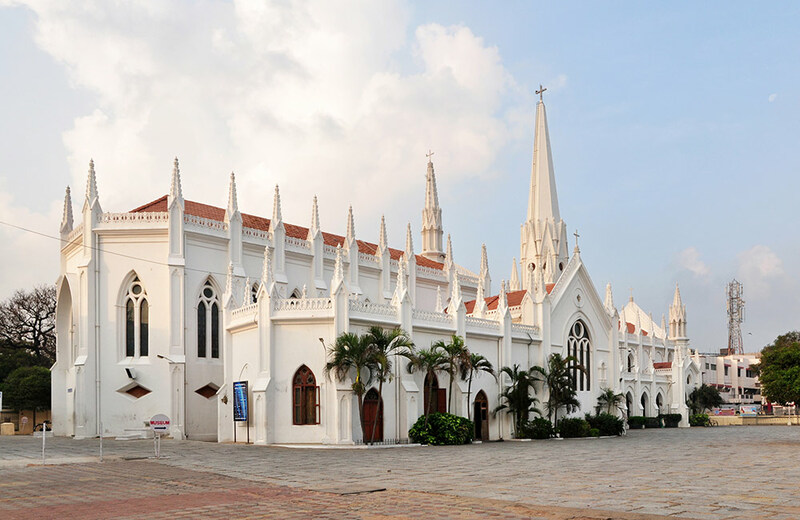 St. Thomas Cathedral Basilica is a minor basilica in Chennai and is one of the most important religious sites for Christians around the world. This stunning piece of architecture with an all-white facade is built in Neo-gothic style, naturally lit interiors and huge windows with colored panes. As the church is close to the ocean, it won’t be an exaggeration to say that it is among the most beautiful churches in the world. The structure that you see today is a result of multiple renovations that the Basilica underwent over the last few centuries. The religious significance of the cathedral is linked to the belief that one of the 12 apostles of the Christ visited the place in the middle of the first century, and was put to death at St. Thomas Mount in 72 A.D. St. Thomas Cathedral Basilica was built on top of his final resting place. The church also houses a museum that has the fingerprint of the apostle and wall paintings depicting his life and death. The lance head that killed the apostle, a rare piece of precious bone, an episcopal chair and stone receptacle are also kept in the museum. 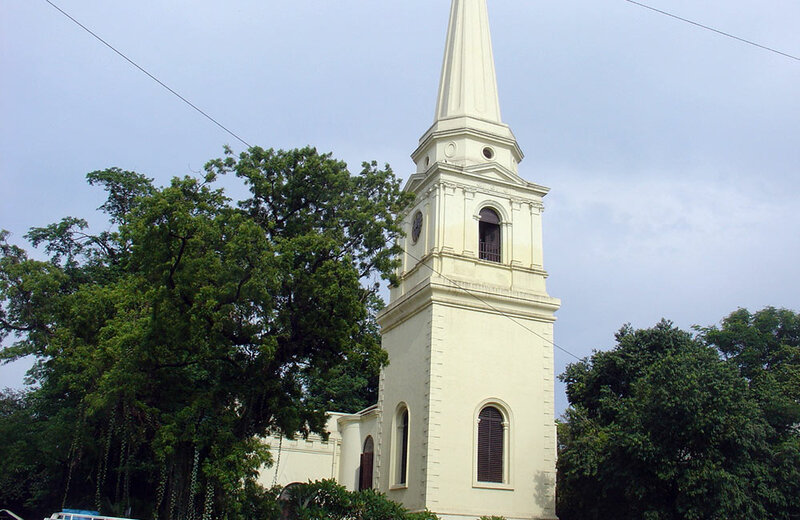 Besides being one of the oldest Anglican churches in India, St. Mary’s Church is also one of the oldest surviving British monuments in the country. It is located inside Fort St. George and was built in 1680. Since then it has witnessed several historical events in Chennai. Marriages of prominent personalities including Robert Clive and Elihu Yale were consecrated in the old prayer hall of this church. The original building of the church was rectangular and about 60 ft by 90 ft. In order to ward off enemy attacks or natural disasters, the church was built with 4 and 5 ft thick roofs and walls, respectively. The church has many tombs, memorials and carved marble statues of past governors, army officers of British East India Company, merchants, and administrators. Affectionately referred to as ‘The Kirk’ (meaning ‘The Church’ in Scottish), St. Andrew’s Church is one of the oldest and most expensive heritage constructions during the British Rule. In fact, it recently turned 200 years old on 6th April 2018. The church that has been constructed on what was once a marshy floodplain, was built by the Scottish community. The Kirk was designed by Major Thomas de Havilland who was inspired by the Neoclassical and Palladian style churches that were being built in England and Scotland during those times. The main complex is circular and has a shallow dome painted with a gold color scheme, featuring pottery cones. It is said that the first stone of the church had a brass plate with inscription in English and Latin. St. George Cathedral, one of the most marvelous pieces of architectural grandeur, first came into operations in 1815. It is said that the construction of the church was completed by its people with the help of a lottery fund. The estimated cost of the church at that time was 57,225 pagodas, which included the cost of furniture, organ and the architect’s commission. One pagoda was equivalent to ₹3.50. St. George’s Cathedral holds an important place in the history of Christianity in the country, as the Church of South India (CSI church in Chennai) was inaugurated here on September 27, 1947. More than 2,000 people witnessed the breaking down of ecclesiastical hierarchy between the Protestants of various traditions. The awe-inspiring facade of the church bears a strong resemblance to St. Martin’s in-the-field in London. The stained glass windows of the church are a marvel in themselves. When the sunlight passes through stained glass panels, it bathes the altar in a beautiful palette. 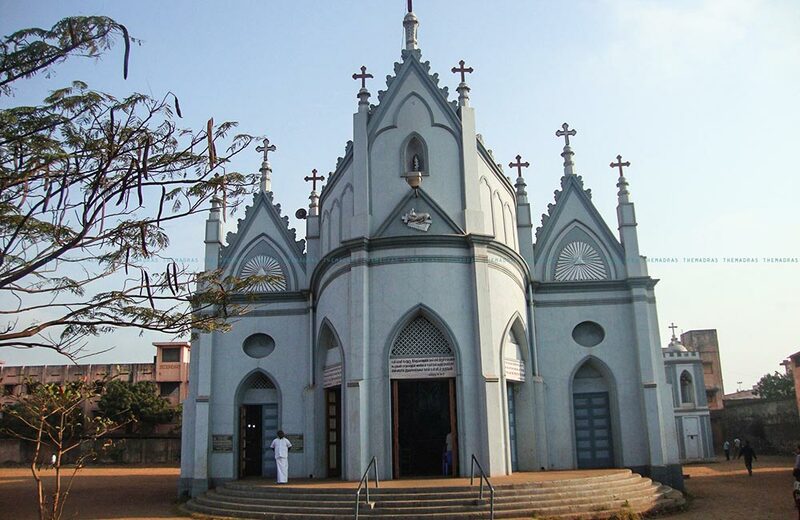 An important church in Chennai, Christ The King Church was designed by an Indian mason commissioned by French clergymen. A fine example of Gothic architecture, this church has pointed arches, three-aisled nave and ribbed vaults. Because of being located in the middle of the Loyola College campus, a large number of students attend the mass every day. The church is 150 by 60 ft. high and has beautiful stained glass windows. What’s interesting about its construction is that its architect never received any formal education in civil engineering or architecture. Commonly referred to as the ‘Church of Our Lady of Light,’ the Luz Church was built by the Portuguese in the year 1516. Though it was renovated under the British rule, the architecture that we see at present has typical Portuguese designs. According to folklore, when Portuguese sailors were once caught in the rough sea, they saw a bright white light that guided them to the shore. Later, a church was constructed at the same place after a few years. Besides the main altar, which is the key attraction of the church, the structure has beautiful patterns of Baroque ornamentation and Gothic arches. The gilt-carved wooden reredos cover the entire wall behind the altar and look beautiful. Every year, on the 15th of August, a grand mass and car procession is organized to celebrate the feast of Our Lady of Light. 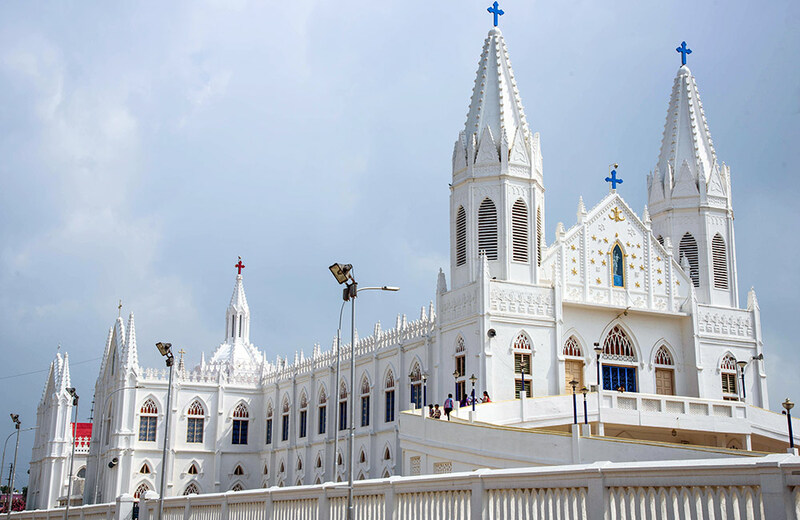 Located on Eliot’s beach, Velankanni Church is dedicated to Madonna, who is considered as the Lady of Health for Christians. As history goes, this place of worship has several stories of apparitions of Mother Mary with her infant son connected to it. One of them being Mother Mary visiting a shepherd boy and asking him for milk for her infant son, and how the shepherd’s milk pot brimmed over with milk, even after giving a portion of it for the infant boy. Another about Mother Mary curing a crippled boy who later built a chapel for her, along with a wealthy merchant who had a dream in which Mother Mary asked him to make a chapel for her. Though the church is small in size, you will love and admire its architecture that depicts sculptures of Jesus on the walls. What’s interesting about this church is that offerings are made in the form of candles of different shapes. For instance, if you are requesting God to cure Jaundice, a liver-shaped candle should be offered. There’s a preservation center at the church that has small silver or gold replicas of organs that have been offered to god after the disease was cured. 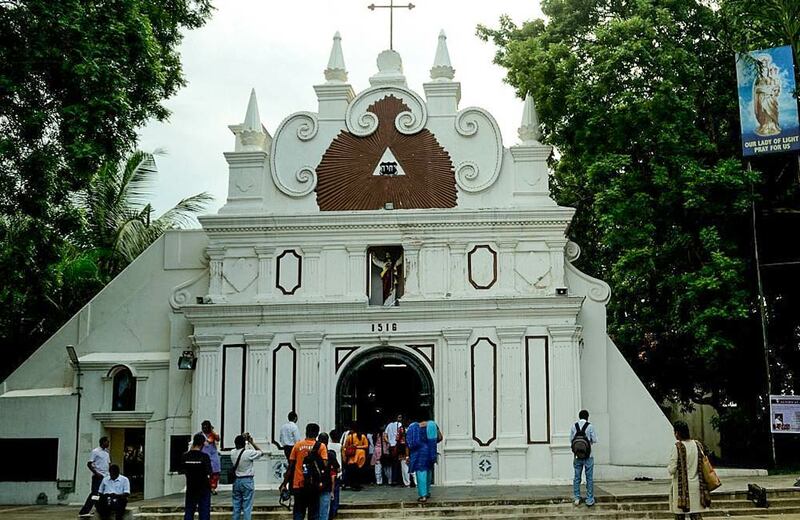 Built in 1829, St. Peter’s Church is one of the oldest Catholic churches in Royapuram area in Chennai. The original structure of the church was inspired by Gothic architecture. The altar has conventional catholic images and prayer halls. The main attractions of the church are the plaques of Jesus Christ, St. Peter, Chindadri Matha and St. Anthony that are housed in glass chambers in a standing posture. Following the Roman Catholic set of Christianity, the church offers hourly prayers and daily services. Christmas celebrations in the church go on for 8 days, from 24th December to 2nd January, with a feast and religious lectures. 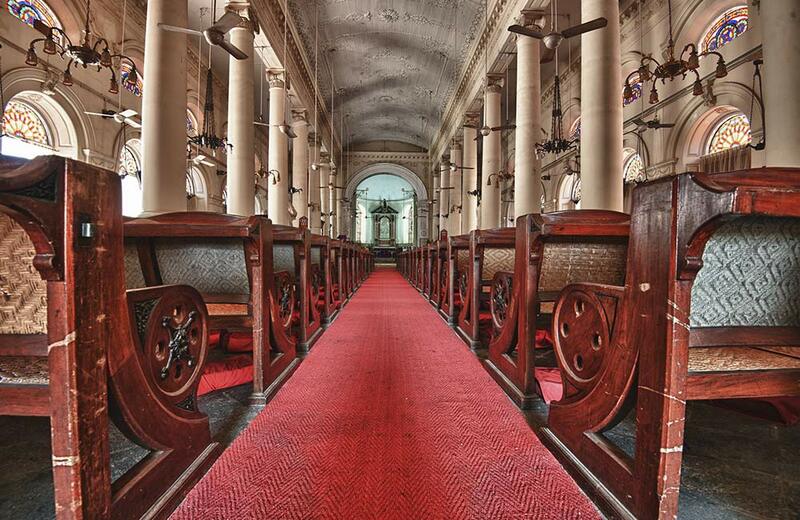 These were some of the most popular churches in Chennai that you must visit. They are, however, just a few of the many churches in the city. In case you are planning to visit Chennai for the first time, and want to see all these churches you must book a room in a hotel in Chennai, for at least 3 to 4 days. And, if you don’t want to miss out on any of the churches in the city, and want to visit them all, you must make at least a week’s booking.